I'm going to start this off by saying that what works for me, may not work for you, and it's best to work with a certified naturopath if you want optimal results with your overall health. Most of the procedures at Polo Health are covered by extended health if you have insurance! Although I've done a food sensitivity test years ago a lot has changed since then (I'm no longer a Paleo Crossfit Competitor for one) and I knew it was time to visit Dr.Allana Polo again for another check on my digestion. The thing about food allergies is that they don't always present themselves as a typical "rash" or visible inflammation. I noticed my food allergies presenting on my skin. Skin is the largest organ and the toxins created by my inability to digest certain foods were unable to escape and cleanse my body properly. I noticed severe acne to the point that it physically hurt to touch my skin. I saw dermatologists and specialists, but I neglected to look within. I tried all the expensive lotions but I had to look at what was going on inside my body to properly take care of myself. There are two ways you can determine what foods you may be sensitive to. One way is the Food Sensitivity test. It's a simple test where Dr.Polo pricks your finger, collects a small amount of blood, sends it away, and results are back in 7 days. Your blood is then tested against 120 of the most common allergens. The second way is an "Elimination Diet", which is exactly as it sounds. You eliminate all foods that are known to cause issues in our digestion, then you reintroduce them one at a time for a duration of three days to see how you feel. Whichever route you go, the most important part of the equation is that you're committed. That's the only way to achieve results with either of these options. Success meaning that you're feeling your absolute best. Digestive issues can present themselves as headaches, skin problems, gas, bloating and more. Another tip I learned after my visit with Dr.Polo is that you can develop digestion issues if you keep eating the same food over and over again. A huge crutch for people who are heavily involved in the fitness industry is to meal prep, creating the same meal every day. Maybe your taste buds aren't getting bored, but your digestive track sure is. Make sure you keep things interesting when cooking for yourself or you may find that your "go to" meal is now making you feel sick your body isn't absorbing the nutrients it needs to. 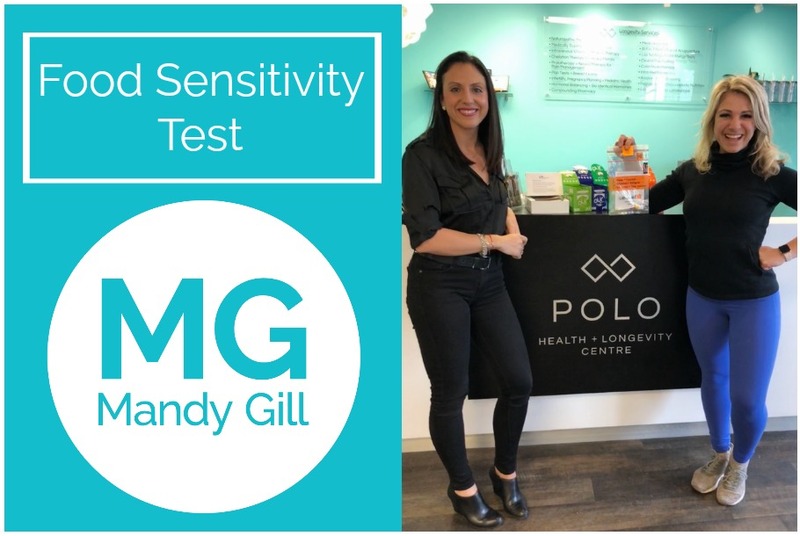 The two most common procedures that Dr.Polo does at Polo Health is the Food Sensitivity test and hormone testing. Click HERE to book an appointment with Dr.Polo. I have a few more appointments lined up with Dr.Polo and I'll keep you posted on my journey. I'm looking forward to showing how you can let food by thy medicine.